A typical Dufour – quality through and through. Typically French – intelligent design, extremely comfortable and a joy to sail. The interior space and airiness belies her 36 foot length. Dufour have managed to get 8 usable berths into a 36 foot boat without compromising on the cabins, the galley area, the saloon or the heads. There are two spacious aft cabins, a comfortable double in the fore cabin and plenty of room for two in the saloon. 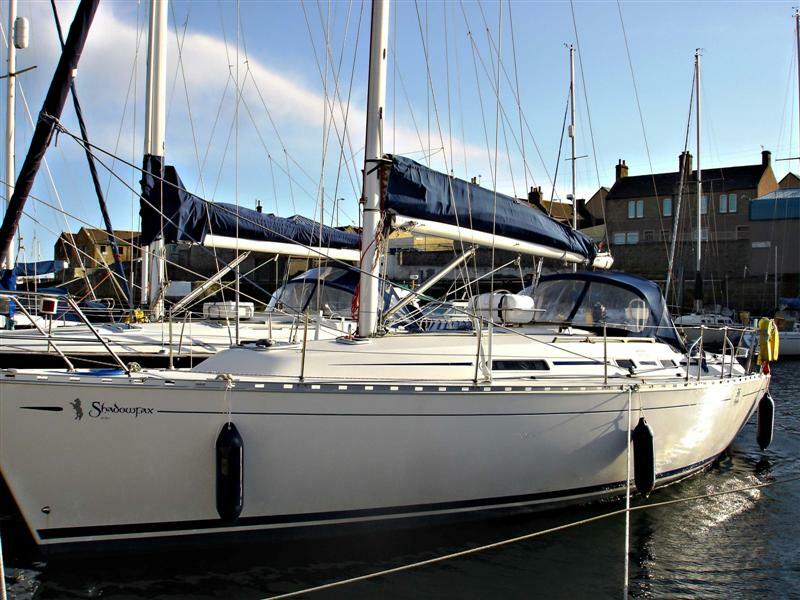 On deck she is uncluttered and the reefing system ensures easy handling of the mainsail. Roller reefing head sail is standard on all of our yachts. She has a very spacious cockpit with excellent visibility from the wheel. 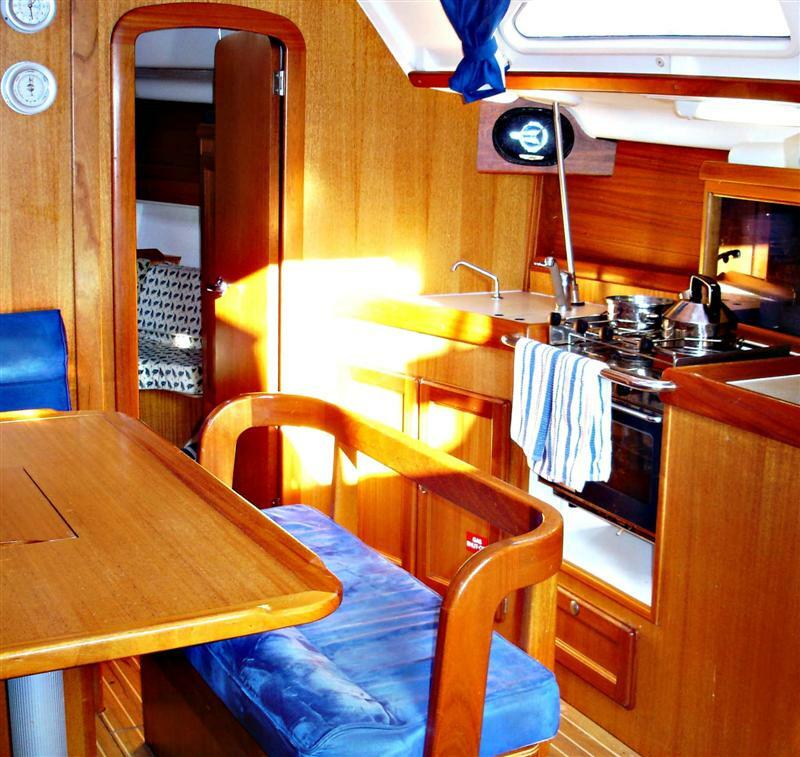 Other features are a well laid out and very practical galley, modern heads and a really good shower. 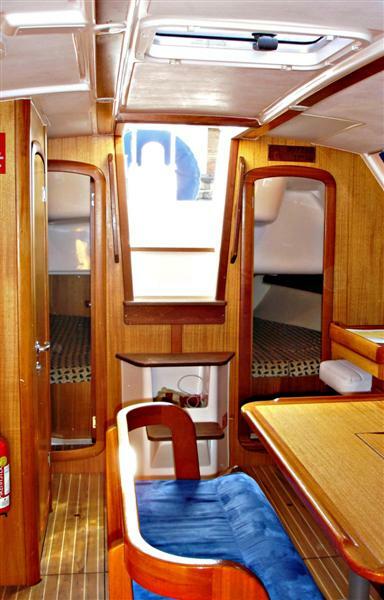 The yacht is fitted with warm air heating which will gently warm away the chill on those nippy Autumn and Spring nights. 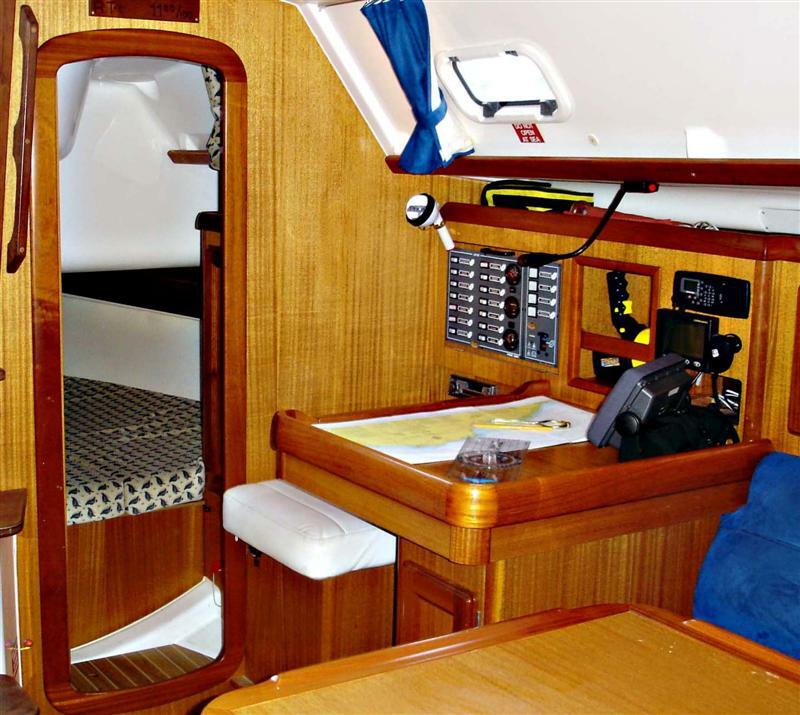 Equipment includes fully battened mainsail with lazy jacks, single line reefing, windlass, autopilot, GPS plotter, wind/speed/depth instruments with repeater, large fridge, and a deluxe cooker. There is also a full colour plotter at the helm. 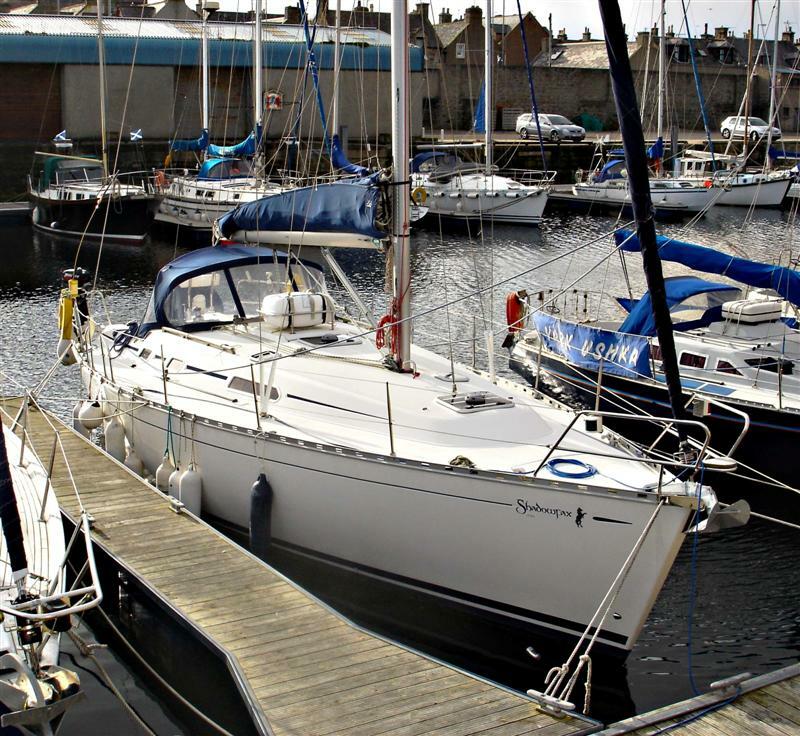 She is fitted with a new electric windlass to make setting and recovering the anchor a breeze! For the forthcoming season she will also have a brand new suit of sails. 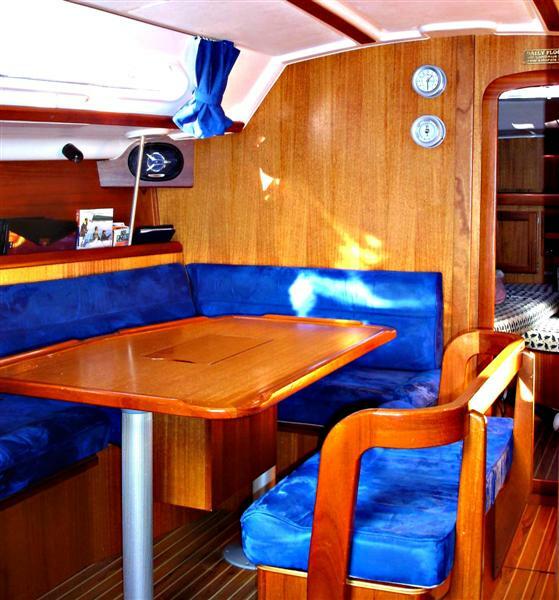 All the equipment on this yacht has been chosen on quality – not price. She is a boat you will be proud to sail and be seen on.